Food is an integral part of Indian festivals. Check out popular Indian festival recipes. These festivals offer a great opportunity for people from different religions to enjoy the traditional delicacies that are cooked using the traditional recipes. These traditional recipes have been passed on from generations to generations. Each and every festival brings with it the joy of the festival and ceremonious food that is awaited for all year long. These special recipes provide a great opportunity to discover and taste the delicacies of Indians. Everybody is allowed to forget about their health related problem and enjoy the food and sweets to the fullest. Sweets are added attractions festivals like Diwali, Lohri, Eid etc. 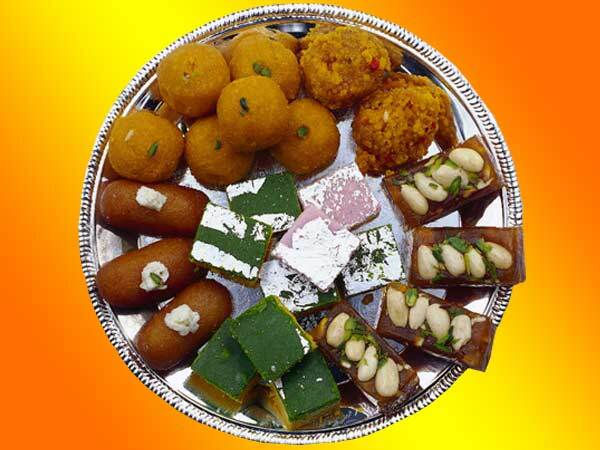 are well known for offering sweets that are a must eat during the period in which these festivals arrive. A must eat because as one goes from home to home congratulating people on festivals it is considered a omen to offer sweets to the well wisher. Although you will realize how easy it is to prepare these sweets once you have gone through the recipe sections of various festivals. Every festival in India have a different approach towards food for example on one hand the festival of Karwa Chauth is about staying hungry whole day and enjoying food only in early morning or late at night and on the other hand the festival of Holi offers a great opportunity to enjoy some of the best spicy as well as sweet food. This diversity in the food and the cooking will become clearer to you once you have browsed through our Indian festival food section. Here we are providing few Indian festival food recipes to make your festival celebrations more tasty and mouth watering.